Nepalgunj lies in Terai(Plain) region of Nepal in the Mid Western Development Region. Inauguration Program of Hearing Aid Camp. 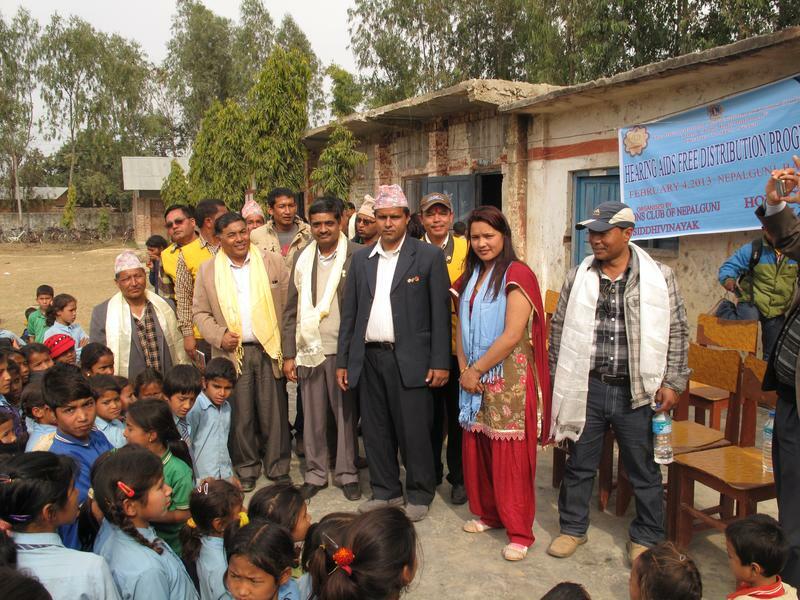 Hope Disability Centre organized the Hearing Aid Camp on 4-2-2013 in Nepalgunj with the collaboration of Lion’s Club. This camp was held in the remote part of Nepalgunj focusing the people below poverty line. Hope Team successfully provided Audio Test to 50 people and Hearing Aid to 21 people. Hope Team being welcomed by the Lion’s Club. Most of the hearing impairment was due to illiteracy as people use oil to clear their ear which get store in side leading to infection. We provided awareness program regarding the care of ears and early diagnosis to avoid infection and tumour. As a whole Nepalgunj Camp was very fruitful and success in the hearing impairment rehabilitation.